Why are you not giving DOUBLE DROPS for upcoming REVAN EVENT??? Everyone needs to stop whining. This is not new. FTP has typically had to wait for 2nd pass of new characters. Not true, and that's why people are upset. It has always been statistically possible before for a f2p to get each legendary/hero's journey character the first time if they guessed right which toons were needed and farmed aggressively. What's making people upset this time is that even players who spent decent money and bought all the packs and refreshed aggressively have no possibility of getting Revan the first time. That's very different that what happened before. P.S. 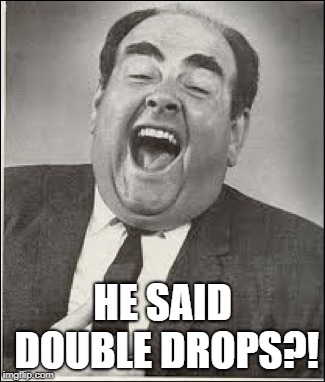 We all want Double Drop event since the last one was around May.